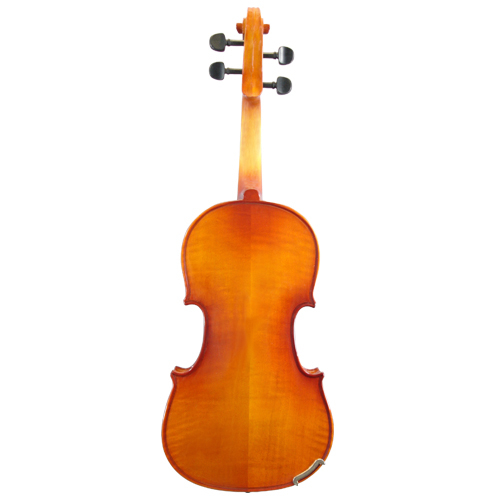 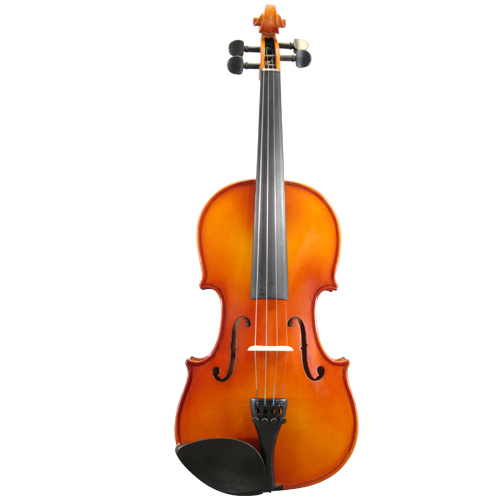 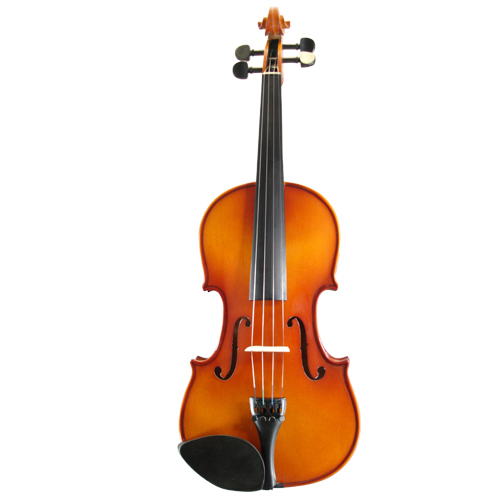 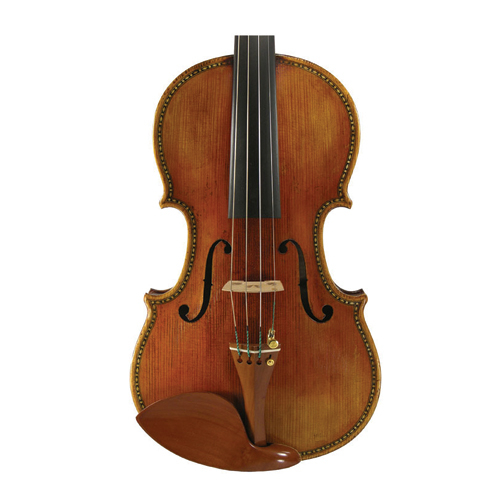 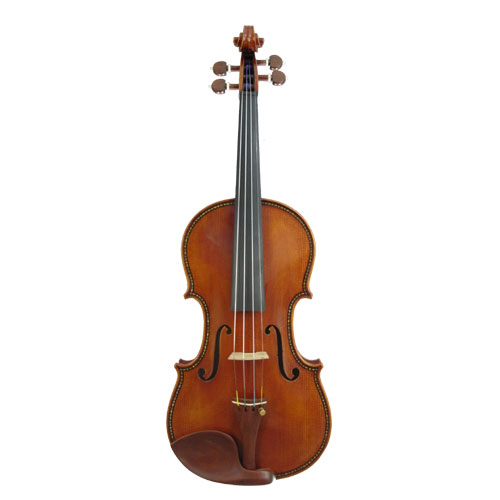 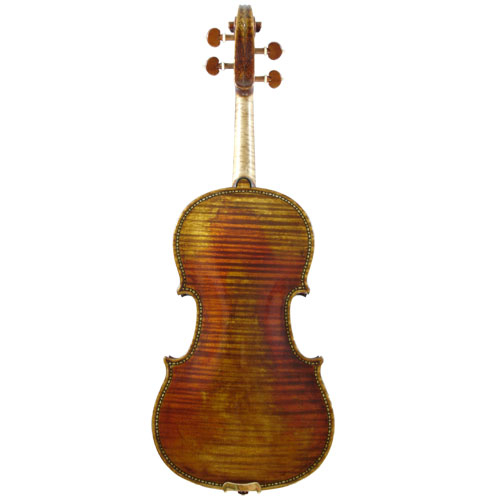 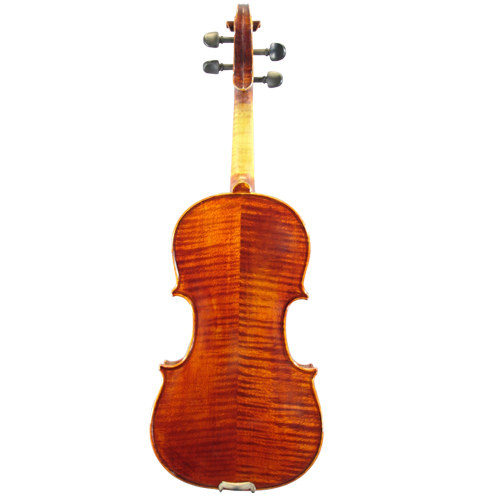 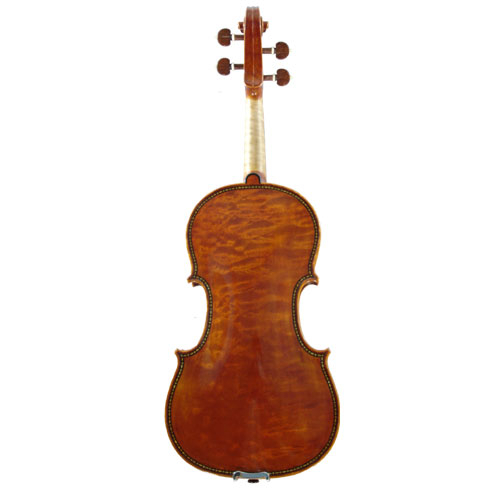 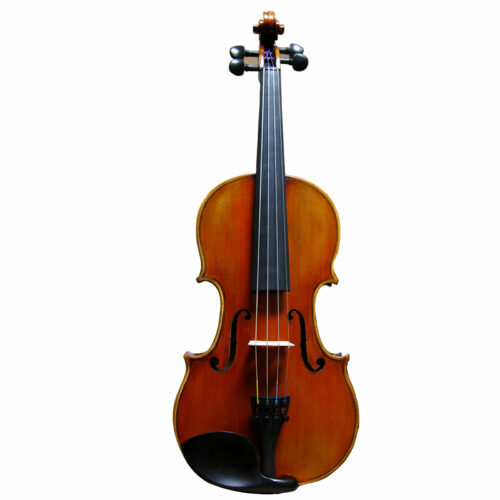 The CAD01 model violin is hand made from solid wood and spruce. 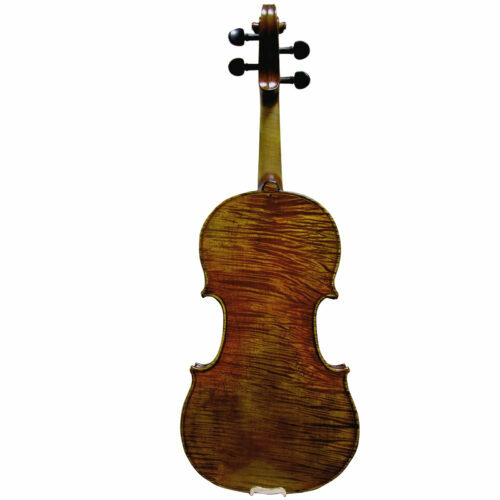 Inlaid purfling. 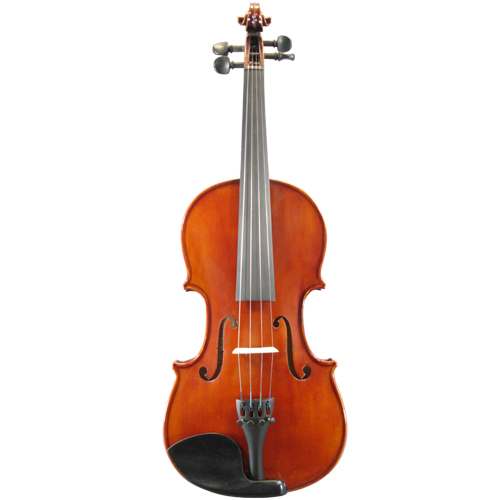 Ebony fingerboard, pegs, four tuner tailpiece. 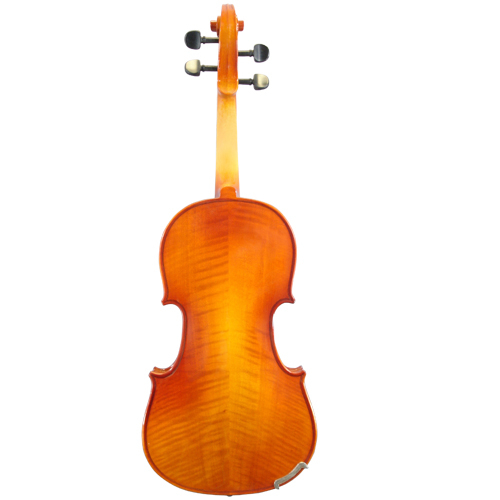 Clean and transparence varnish in brown golden reddish color. 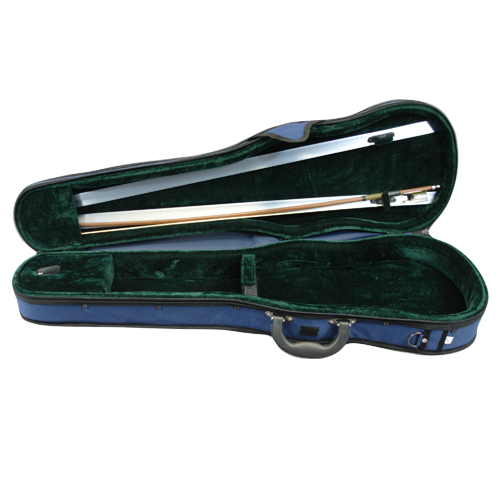 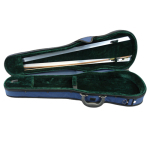 Outfit includes quality light weight shaped violin case with two bow holders, Brazil wood bow and rosin.